Smoke in the car? 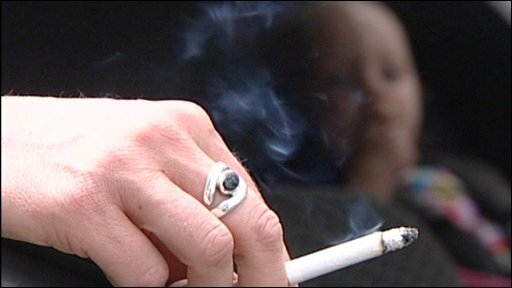 It is becoming increasingly common in many countries to hear about laws being passed that prohibit smoking in the car when there are children inside. 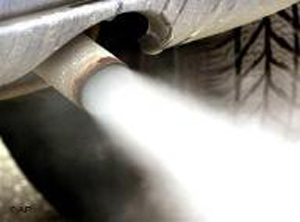 The dangers of second hand smoke are well known, and cannot be disputed with the volume of supporting research, but these effects are massively amplified in closed spaces, such as a car. And open windows do not make much difference – that is just one myth behind rationalizing that it is OK to smoke in the car with the kids. This list presents 10 startling facts about the impact of smoking in the car, and why some governments have taken it upon themselves to protect the minors who are passengers. People can begin to feel the effects of small airborne particle pollution when daily outdoor concentrations measure above 15 micrograms per cubic meter (?g/m3). 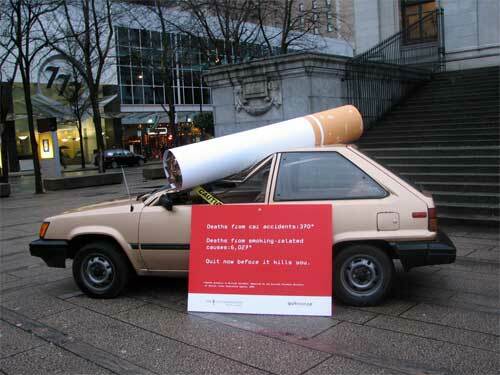 When these levels are more than 40, the U.S. EPA (Environmental Protection Agency) considers them �unhealthy.� With a passenger window fully open in a car traveling at 20 miles per hour, smoking will raise the average concentration of small secondhand smoke particles from 2-10 times the EPA’s unhealthy level. Hazardous is worse than unhealthy, from a clinical measurement standpoint. Daily concentrations of small air pollution particles greater than 250 ?g/m3 are considered hazardous under the U.S. EPA�s Air Quality Index. 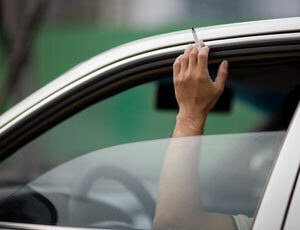 In a car with the windows closed peak secondhand smoke concentrations were measured in the range of 3,000 to 4,000 ?g/m3. Peak measurements of secondhand smoke concentrations exceeded 1,000 ?g/m3 when measured in a car with the air conditioning system on and the windows closed. 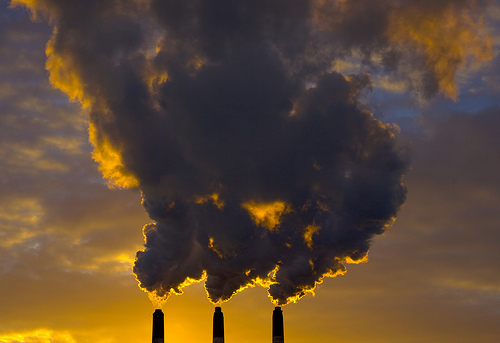 The U.S. EPA has set a daily standard for small particle air pollution of 35 ?g/m3. 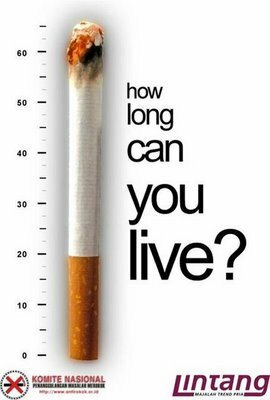 This 24-hour average limit could be exceeded in approximately 20 minutes in a car with someone smoking and the windows closed. Even with the windows open, this 24-hour average limit could be exceeded in approximately two hours. In 2006, the highest daily average air pollution – fine particle concentration – in California was 78 ?g/m3, measured in the Sacramento Valley. The mean level measured in a parked car with the windows open, after one cigarette was smoked was measured at 82.4 ?g/m3. The peak level of secondhand smoke particle concentration measured in a car traveling at 60 miles per hour (windows closed and the air conditioning on maximum) reached nearly 4,000 ?g/m3. Average firefighter exposure in California (during a wildfire) has been reported as 1,750 ?g/m3 of small particles (4-hour or 8-hour Time Weighted Average). On average, cars have been reported to emit 200 micrograms of fine particulate matter per-mile when warmed up; in contrast, a smoker can emit over 10,000 micrograms of fine particulate matter into the cabin of the car when they smoke a single cigarette. In bars, multiple smokers can raise small particle concentrations from 30 to 60 ?g /m3. 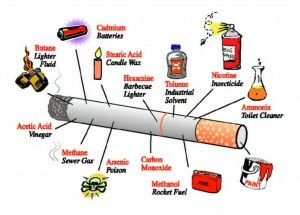 A cigarette smoked in a bedroom can raise the level to 300 ?g /m3. In contrast, secondhand smoke particle concentrations inside cars, which have a much smaller volume of air to dilute the smoke, can be 400 to 3000 ?g /m3. 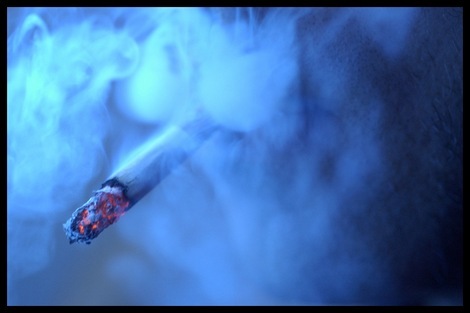 Secondhand smoke has been associated with long-term health effects including lung cancer and heart disease deaths; the serious short term, acute effects of exposure to secondhand smoke include: asthma attacks, respiratory infections, nasal and eye irritation, and lung irritation (cough and wheeze). Also known as Environmental Tobacco Smoke or ETS, these chemicals include butadiene, arsenic, benzene, benzoapyrene, chromium vi, and formaldehyde. These compounds and others have been previously identified as carcinogens and as toxic air contaminants. 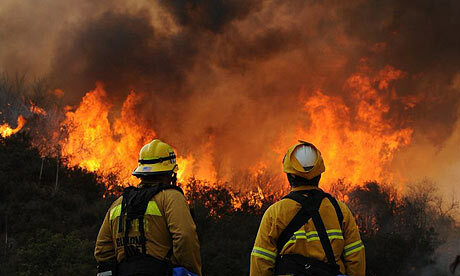 ETS itself was identified by the California Air Resources Board as a toxic air contaminant in January 2006. Bottom line – smoking in a car is toxic for passengers, and can result in death as a result of smoking-related illnesses for non-smokers. This is particularly true for children and elderly, who are more susceptible to the effects. 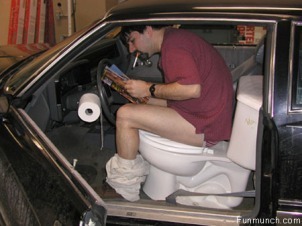 And smoking in the car can really make your car stink, but it could be worse….